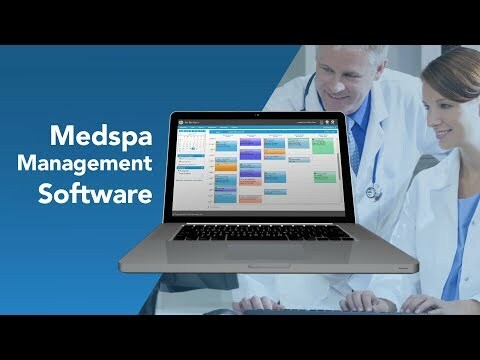 Envision MedSpa is an online medical spa management solution which includes electronic treatment records, appointment tracking, credit card processing, and more. With features such as electronic treatment records, weight loss tracking, online patient forms and task management Envision aims to aid with the day-to-day tasks for medical spa businesses. Envision MedSpa also make custom mobile apps for businesses. Backed and created by the team of designers and developers, businesses can create apps to appear in the Google Play Store and Apple App Store. Give clients the ability to book whenever they need, especially if they are on the go and exposure to more loyalty offers and even a "Spin to Win" game where they have the chance to win prizes or services. There are currently no reviews of Envision MedSpa. Break away from the desk and paper charts with electronic treatment records. Online patient forms are self service to give patients the freedom to fill out their paperwork at their convenience. Electronically track clients' progress throughout their weight loss journey with weight loss tracking. Track patients' progress and keep all important documents connected to their chart with patient photos & files. Consolidate the medical spa's to-do list and coordinator responsibilities with integrated task management. Don't worry about keeping patients waiting too long. Track their appointment flow each step of the way with the client appointment progress feature. Below are some frequently asked questions for Envision MedSpa. Q. What type of pricing plans does Envision MedSpa offer? Q. Who are the typical users of Envision MedSpa? Q. What languages does Envision MedSpa support? Q. Does Envision MedSpa support mobile devices? Q. Does Envision MedSpa offer an API? No, Envision MedSpa does not have an API available. Q. What other apps does Envision MedSpa integrate with? Q. What level of support does Envision MedSpa offer?